When most people think of what goes on in a chiropractic office, they often think of chiropractors physically manipulating every patient. And while chiropractic adjustments are a big part of what we do here, there are also machines we use to give people the relief they’re looking for; chiropractic medicine has become very high-tech! Sometimes we use electrical stimulation, and other times it’s ultrasound or cold laser therapy. Today we’re going to talk about another important method we use to help those who come to our chiropractic clinic: spinal decompression therapy. Spinal decompression therapy is a non-surgical procedure that involves a specialized table that can gently stretch the spine. A patient’s top half and bottom half are strapped to a table. While the top remains stationary, the legs and pelvis are pulled away, relieving pressure on the spine. Because this table is motorized, it can be very finely tuned for each patient. There are two prevailing theories as to why patients tend to feel better after spinal decompression therapy. Both of these might actually come into play during the therapy. When there is less pressure on the discs, they are more likely to be able to absorb the nutrients and oxygen that injury has prevented. Reducing pressure on the spine reduces pressure in the discs (intradiscal pressure). This then promotes retraction or repositioning of the bulging or herniated disc material. When that occurs, pressure on nerves might also be reduced. Sessions for spinal decompression at a chiropractic clinic tend to last from 30 to 45 minutes, during which time gently pressure is applied and then reduced. Spinal decompression therapy is most often used as a lower back pain treatment. It has also been found to help those who are having leg pain, or anyone experiencing weakness or tingling in the legs. Spinal decompression can also help those with worn spinal joints (aka posterior facet syndrome) or injured spinal nerve roots. Spinal decompression is not a something that helps with just a single session. There are often 15 or more treatments over the course of a month, but the number recommended by a chiropractor might change depending on the patient’s injury. Spinal traction can also be combined with other treatments in order to increase blood flow and decrease healing time. A chiropractor might also suggest heat and/or cold therapy, electrical stimulation, and or therapeutic ultrasound. No, there should be no pain associated with decompression therapy either during the procedure or afterward. While the idea might sound scary at first, this kind of therapy is very gentle and cannot stretch the spine to dangerous degrees. During the procedure a patient will feel the process of the spine being compressed, and while it might seem a bit weird at first there’s also the relief that can come from the process. 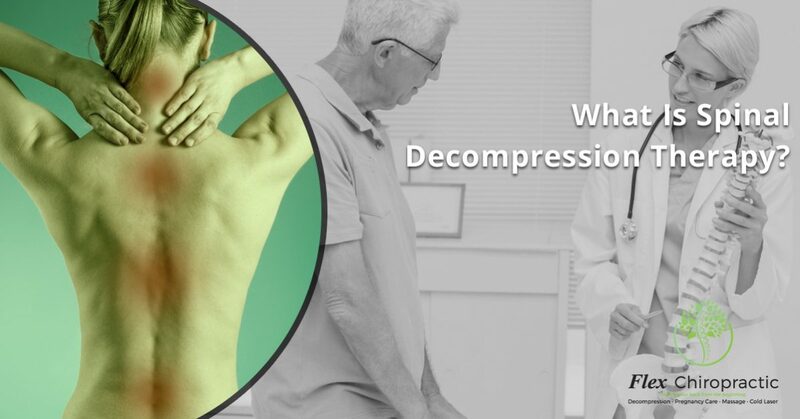 Contact About Spinal Decompression Therapy! We’d love to talk to you about the benefits of spinal decompression therapy and how we’ve seen it help those who visit our chiropractic clinics in Columbia and Lexington. We look forward to hearing from you!